Senate Secretary: William G Smith Jr. Welcome to Louisville - T N B A Bowlers !! We in Louisville, as members of The National Bowling Association, would like to introduce ourselves to those of you who may not be aware of our local bowling organization. The "Derbytown Senate", is now over twenty-five years old. In that time we have been growing steadily. We are able to offer varied and interesting bowling programs for our adult members, as well as a flourishing junior program for our children. We believe that we have a wonderful group of people in our senate. We are sure that you will be welcomed warmly when you come to visit our city. 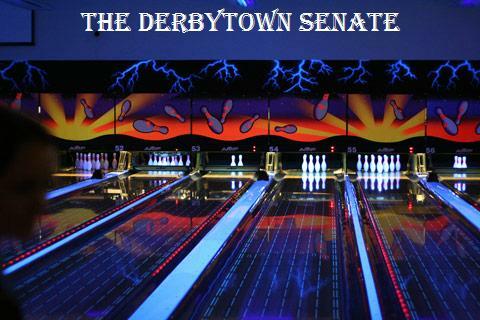 If you can't come to the Derby City in person, then stop by our web site to get frequent updates regarding our bowling senate and tidbits about our local area. We are pleased to provide you with this sample of our hospitality and look forward to extending our friendship in the future. We will look forward to seeing you soon in the Derby City of Louisville, Kentucky.